"Gotland was first discovered by a man called Tjelvar." This sentence in the Ancient Gutnic language, introduces the short but extensive medieval manuscript, known as "Gutasagan" (The Tale of the Gutes). 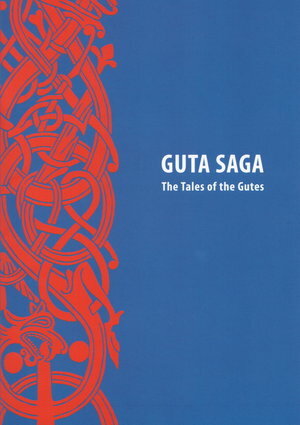 Judging from its contents, the Gutasaga must have been written down between 1220 and 1285. The written document is based partly on oral tradition, partly on literary models. The only extant manuscript in the ancient Gutnic language dates from the mid 14th century; the text was written down on eight leaves of vellum. (Codex Holmensis B 64, Royal Library, Stockholm). The original Ancient Gutnic version has been published in at least 20 different editions and translated into some ten modern languages.